When we hear the name "Arianna," we can't help but imagine elegance. 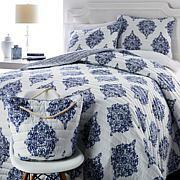 This bedspread set meets those expectations perfectly. 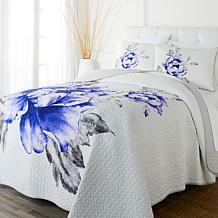 With a chenille circle of flowers design and fringed hem finish, she's a stunning addition to any bedroom. This is even nicer than expected. Very soft, large and nice quality. The King gives my California King bed full coverage. Just like the photo. Very happy with this purchase! 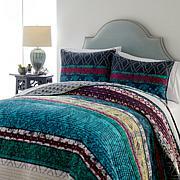 Beautiful bedspread to easily decorate around. 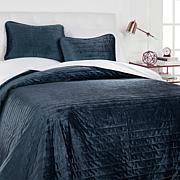 I have a California king and bought the king size that was actually a little too big but fit perfect after having it washed and dried.Love it! I decided to try a bedspread as I got tired of always fixing the bedskirt on my bed. I Love the look & white goes with everything. 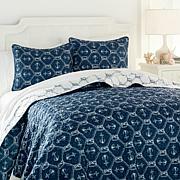 I have been looking for a 100% cotton bedspread for a long time. Just received mine yesterday and couldn't be more pleased. The honeydew color is beautiful and the size is perfect!!! 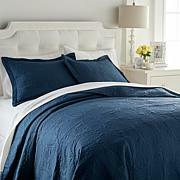 Thank you HSN for having quality products ! It is soft and feels cozy. It washed well. I am especially pleased that it is generously sized, not skimpy.